If you don't already own a noisy electric air compressor, your options for seating a tubeless tire are limited indeed. You can either borrow a friend's compressor or hope you have an easy-to-seat tire / rim combination and go berserk on your standard floor pump to try to frantically seat the bead before your garage floor is smattered with sealant. 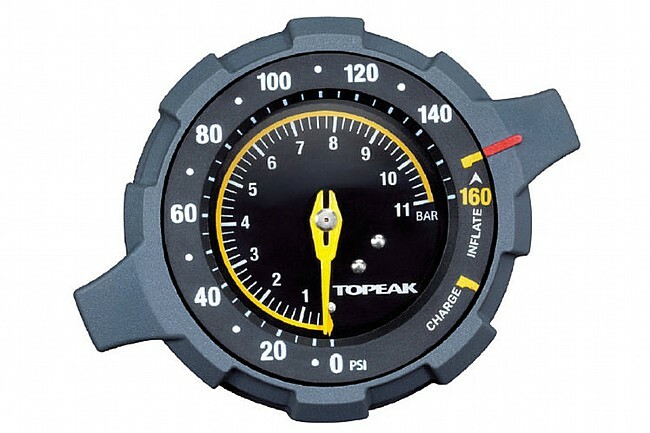 Topeak takes away the exasperation of trying to seat a bead with a normal pump with the advent of their JoeBlow Booster Floor Pump. Not only will it seat your mountain or road tubeless tire with ease, but it's also quiet and portable so you can take it to the trail or use it at 6 AM without waking up the neighbors. 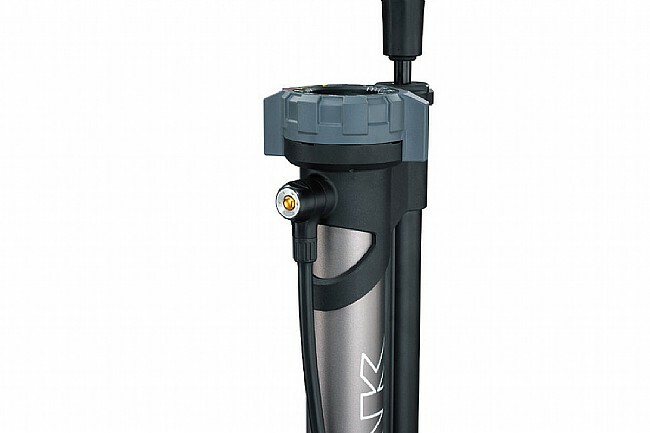 It accomplishes this with its separate one-liter chamber that you can pump air into and store it at pressures of up to 160 PSI. This compressed air can then be released into your tire in one go by turning a dial on the gauge bezel to quickly seat your tire bead into your rim with no mess or fuss. 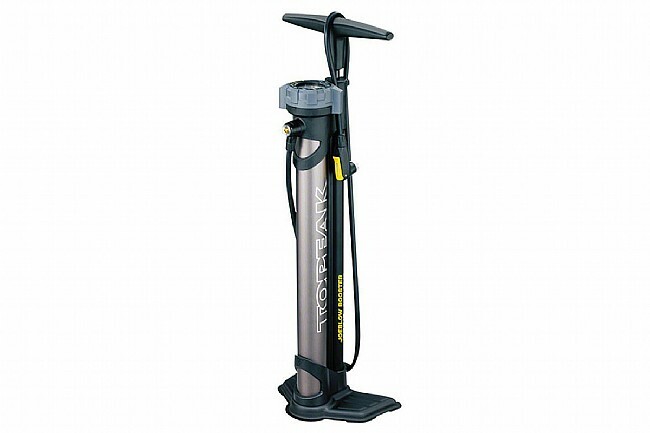 Aluminum barrels and a sturdy steel base ensure the JoeBlow Booster will continue to make short work of mounting tubeless tires for ages to come, and the dual-density handle is comfortable in the hand for easy use. For added convenience, the hose is extra long for extended reach, and an air-bleed button lets you dial in the pressure to your exact needs every time. 160 PSI max pressure. Dual Presta / Schrader SmartHead™ chuck. Claimed weight is 6.4 lbs.